When you stay at one of our local Air BNBs, you can rest assured you will be taken care of with the best in southern hospitality. While away from home, it's nice to know their is someone nearby who can tell you about all the local hot spots and direct you to the best Letcher County has to offer. Experience the life of the locals and book your stay today! 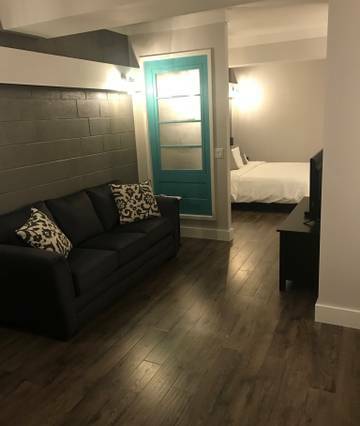 Located in historic downtown Whitesburg, this modern studio apartment is just steps away from restaurants, the courthouse, public library, downtown nightlife, Kentucky Mist Moonshine Distillery and the Recreation Center. Located in downtown Whitesburg, cottage guests can enjoy the privacy of having their own space to relax and enjoy the mountain views. The house is within walking distance of the business district, city park, Appalshop, Recreational Center and Kentucky Mist Moonshine Distillery. This cottage is located at the foothills of Pine Mountain, just a few miles outside the city limits of Whitesburg. Enjoy a clean and comfortable spot to rest while enjoying Letcher County. Cowan Creek Cottage is perfect for couples, solo adventurers, business travelers and families. 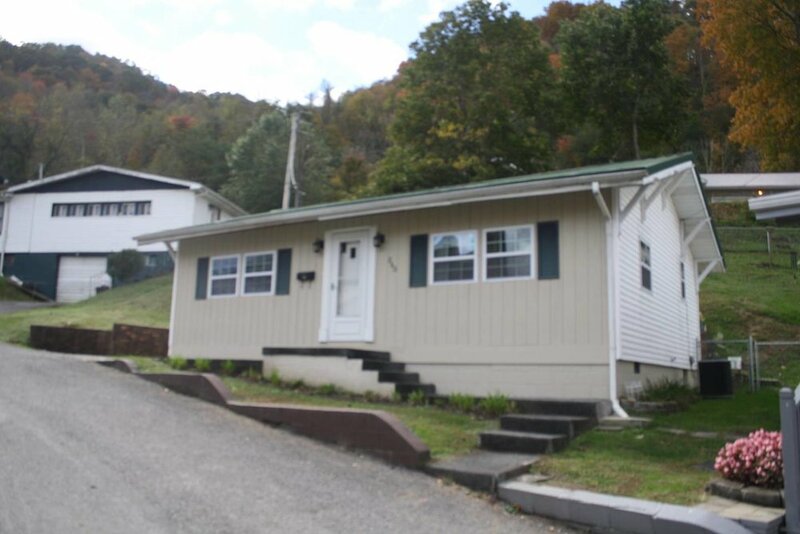 Surrounded by the beautiful mountains of Letcher County, this two-bedroom log cabin is furnished with all new appliances. During their stay, guests may experience visits from local wildlife, such as whitetail deer and wild turkeys. This is the perfect spot, if you want to relax in the country and still have easy access to local stores and restaurants. This quaint, cedar-lined cabin is located on the water of Shekinah Village Lake. It has wifi, kitchen, dining, and a lakeside back porch. The area that surrounds this cabin is rich with history. Not too far away is Portal 31, a coal mining museum, and Kingdom Come State Park. Fishing, hiking, and other outdoor activities are available for the entire family to enjoy. The Quillen House is a comfortable, well furnished home in Fleming Neon. This home is located close to both Jenkins and Whitesburg, surrounded by a beautiful, quiet neighborhood. It’s on the second floor, overlooking the historic main-street of Neon. This is an excellent stay for someone looking for a quiet and quaint neighborhood. This quaint, lakeside cabin is located in Shekinah Village in the town of Partridge. It includes a kitchen, dining room, and lakeside porch. The Riley Lodge is also located near multiple attractions including fishing and hiking areas like Kingdom Come State Park, as well as historical ones such as Portal 31, a mining museum. The Johnson Lodge is a quaint, lakeside cabin with a pullout leather sofa, kitchen, dining room, and porch. The area in which this cabin is located is rich with attractions and nature including fishing, hiking, a state park, playgrounds, overlooks, and two golf courses. This is an excellent cabin for a nature getaway. 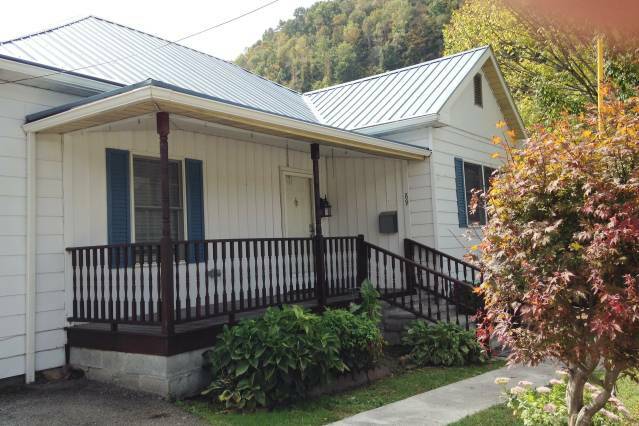 This is a two bedroom, one bath home located in Whitesburg, close to multiple restaurants and amenities. The neighborhood is quiet and peaceful, perfect for a relaxing getaway, while still close to the main street attractions. Nanny’s Dream is quiet, humble, three bedroom home located in Mayking. It has a large front porch located and is nestled at the foot of majestic Pine Mountain. The home is centrally located, being only six miles from Whitesburg and Jenkins. This stay is perfect for those who have to sleep many, as it can hold thirty-two guests! This lodging contains two bunkrooms, each with fourteen beds and three bathrooms. There’s a huge living room with leather couches, a lakeside front porch, kitchen, and a dining room with four long, farm-style tables. The Lawson Lodge is a quaint little cabin located right on the doorstep of a beautiful lake. It has many amenities and is steps from wonderful fishing and hiking. It’s also located near Bad Branch Falls and Kingdom Come State Park. This is a wonderful stay for any who are interested in the amazing natural beauty of Eastern Kentucky.